"... 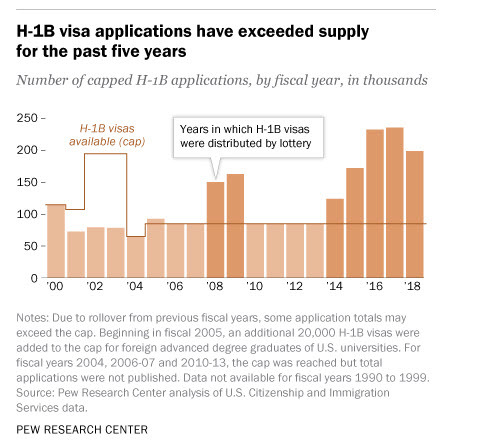 Almost 1.8 million H-1B visas have been distributed in fiscal years 2001 through 2015, according to a Pew Research Center analysis of government data. The program, created by the Immigration Act of 1990, allows employers to hire foreigners to work on a temporary basis in jobs that require highly specialized knowledge and a bachelor’s degree or higher..."